Videos and links about accordions. Links, videos and comprehensive free resources about fantastic musical instrument: accordion, fisarmonica, accordeon, аккордеон, bandoneon. 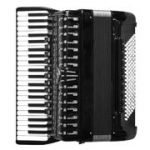 Videos, links and free resources for all accordionists. Accordion links, videos and free resources.